Yeah.. can't go but can't be too disappointed seeing as I'll be at Glastonbury anyway..
Looks like the Wire’s constant sucking up to Sunflower Bean has really paid off! Hmm so no presale for this? Just straight to General Sale? Not often you see as gig for £39 these days, fair play. Errmm shall I go ? Anyone else surprised by this date? THB is an iconic album and was virtually sold out for good reason. As much as I love it, I can't see it selling out for this album. I feel opposite. 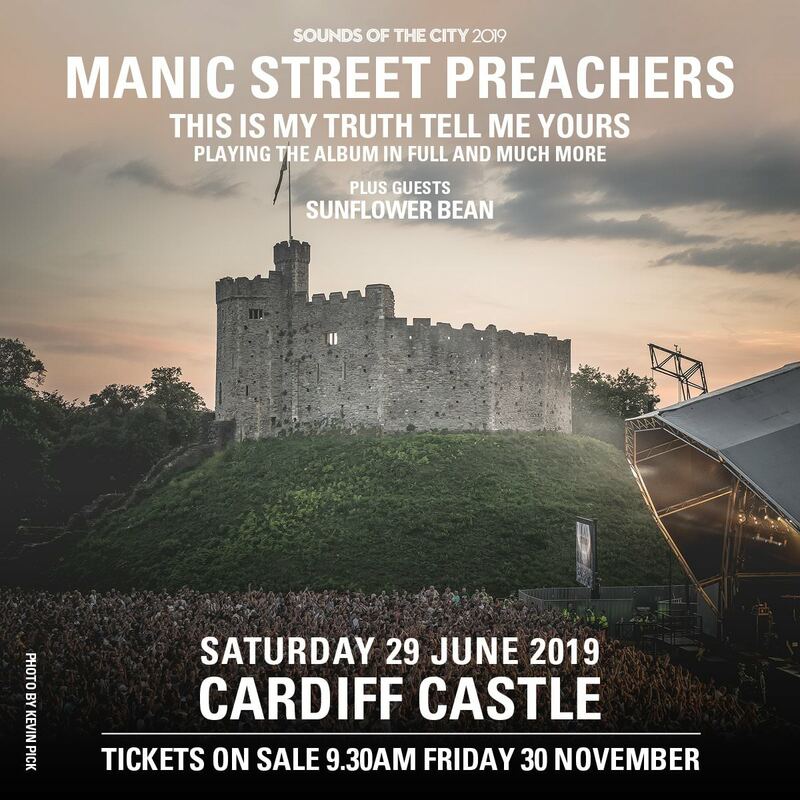 It's a Manics gig, In Cardiff, on a Saturday night, in June, playing the album most of the general audience would be associate them with. There were some at the THB gig that didn't know they were playing the album and complained they didn't know the songs. I expect this to be much the same except the songs will obvs be more familiar. People don't pay attention. It'll get some enthusiasm for the first 25-ish minutes. Then "My Little Empire" and it'll tail off until the "hits" in the second half. I'll be trying to get tickets just before I have to head out to work. If I don't, I'm going to see them in Birmingham anyway. Which might be a "better" experience than the Big Welsh Outdoor Gig that attracts people who frankly, may have taken a wrong turn on their way to a Stereophonics gig or something.